Although having changed a bit in more than one thousand years being used as a pilgrimage site, the caves are still a place for prayers and reflection. And they are still a place where you can see hundreds, or even thousands, of Buddha images tucked in to almost every cranny and nook around the site. 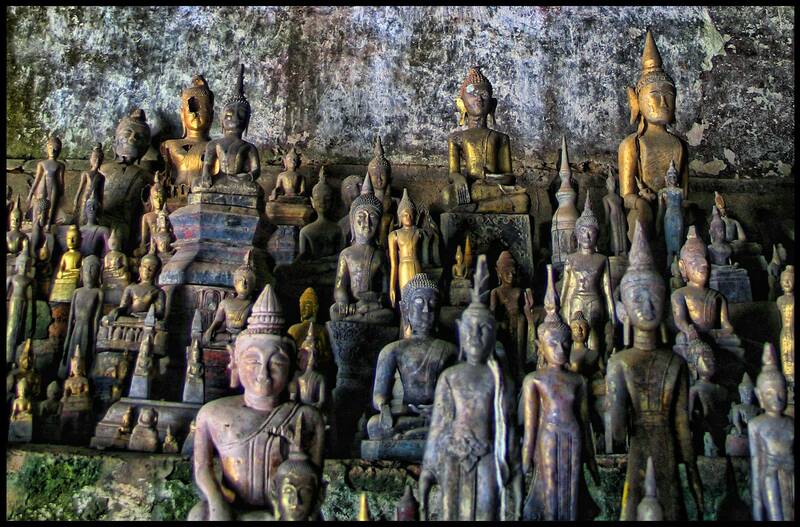 And to add to the collection in the lower cave (Tham Ting), pilgrims still bring an image to the site. Meanwhile, however, at the base, now there is a dock and ticket takers stationed at the site, witnessing the large daily streams of travelers. Reaching the caves involves either a rather shorter tuk tuk or van ride or a 2-hour boat ride upstream from Luang Prabang. If a nice day on the water suits your fancy this is not a bad way to get that experience although the boats are loud and narrow. There are two caves to discover once getting to the site. Not particularly being cave-like, the Tham Ting (Lower Cave) is reasonably open to daylight, and without too much trouble, you can admire the massive collection of Buddha images there. 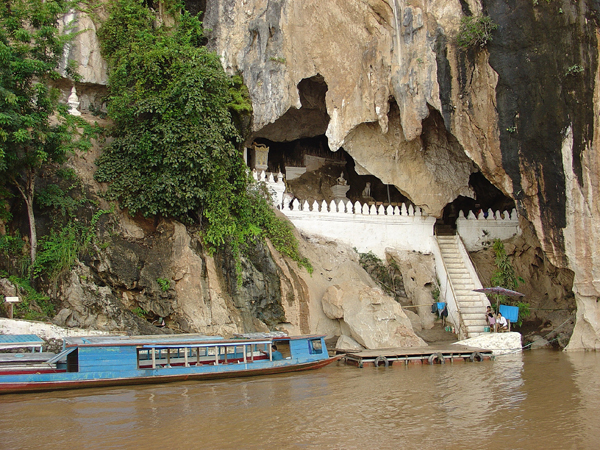 The Tham Theung, the Upper Cave, which is higher up the cliff face, is actually a cave in the traditional sense. It gets really dark very quickly when you walk in. With plenty of room to move around without bumping into anything, but pitch black at the back, it is really spacious inside. 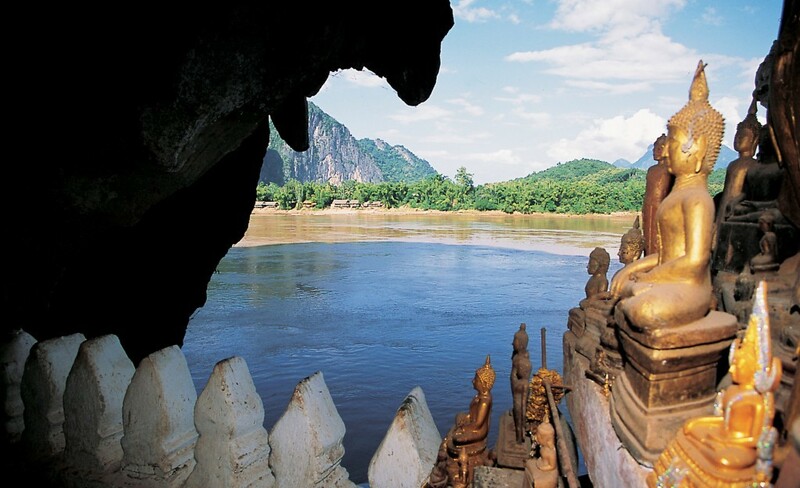 A Pak Ou caves excursion, like most tours, also involves a visit to the gift shop as part of the adventure. To see the handicrafts available for purchase, you should visit one of the local villages along the waterfront. Although the crafts themselves are not particularly impressive, get them as regional souvenirs is not a bad idea. 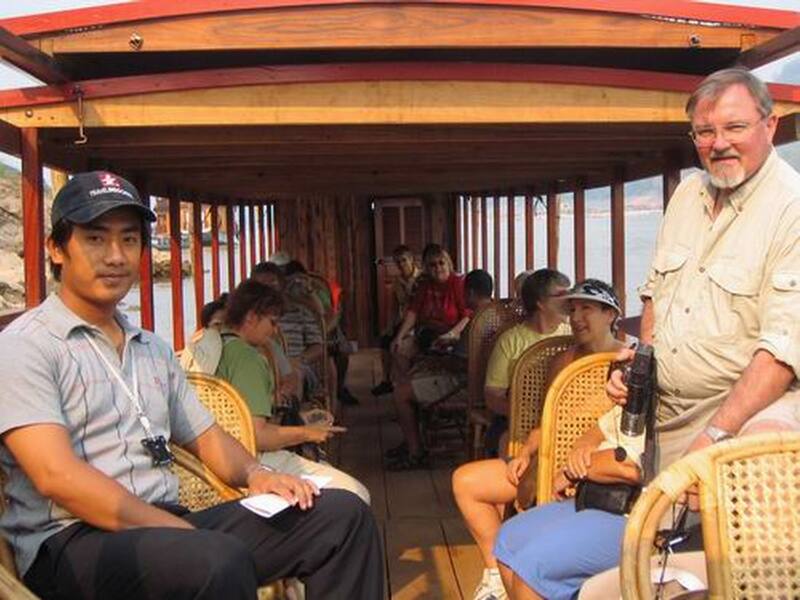 After this interesting part of the tour, you sit back and relax for the rest of the return boat ride going back to Luang Prabang. Very much about the boat ride is time-wise the trip. It would be a much more significant devotion to Buddha and tolerance for crowds of other tourists if you manage to spend more than 30-45 minutes in the caves. Still, assuming good weather, the time on the water can be quite lovely on the trip, which is a perfect way to spend most of a day. Although it is possible to be done via roads as well, experience that way and you will lose a lot.